AMP & Design: Can we really reproduce the services implemented on our websites? Frequent updates and contribution are made to the library of components in order to enhance functionalities: category page, product page, payment methods for e-commerce, more animations allowed to create dynamic websites, etc. 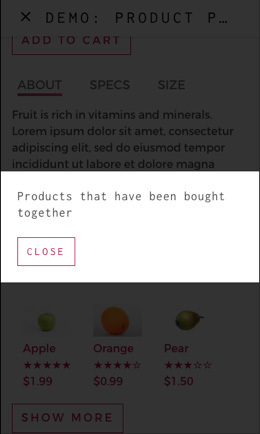 Clever Age explored the following issue: to what extent can you reproduce an experience similar to that of existing websites in terms of component design and features? We studied AMP possibilities in terms of e-commerce, before looking into specificities for information websites. After a brief introduction to AMP, this article analyse of the state of play for e-commerce websites. An Accelerated Mobile Page is an HTML page for mobile, desktop and tablet, re-developped using AMP HTML, CSS, AMP JS and Google AMP Cache. AMP pages are interpreted by Google search engine in order to load data almost instantly, in spite of a slow internet connection. Google rolled out this open-source project in 2015, in collaboration with dozens of media companies across the globe. The aim is to improve mobile web browsing by increasing page loading speed. 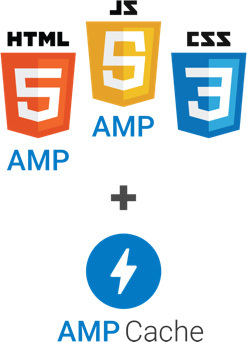 On Google, AMP pages can be easily spotted as they bear the lightning icon and the “AMP” label. 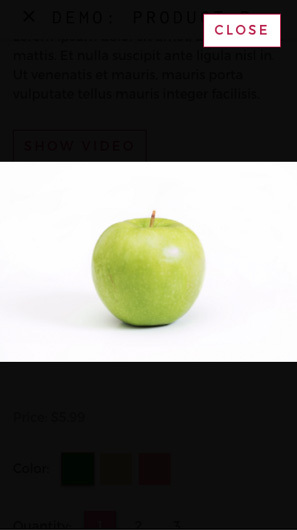 Once the AMP page is opened, a dismissible banner appears. This banner contains the URL to the non-AMP version of the website and other features such as access to the user’s Google account. 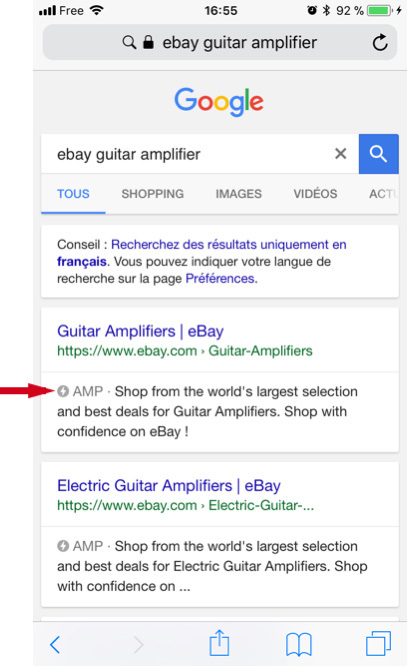 Some major e-commerce groups such as eBay, AliExpress and Sephora have chosen to integrate their websites with AMP and are already starting to see results. But what exactly can you achieve in terms of e-commerce using AMP? Please note that all components may be customized to suit your needs. 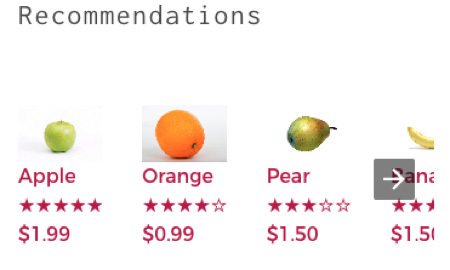 See other templates on https://ampstart.com. Comments section: user login via Google account. Similarly to category pages, the design of product pages may also be customized. 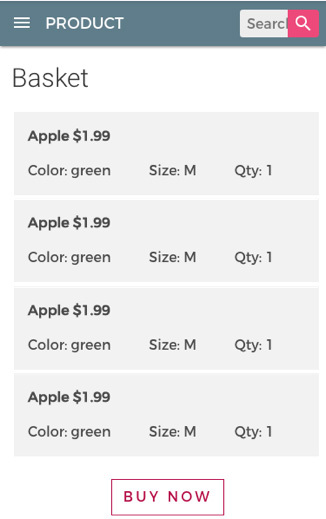 The cart page is just as easy to build: it consists of a list displaying name, size, color, quantity and price of each product, and a validation button. Redirect to non-AMP website checkout funnel. 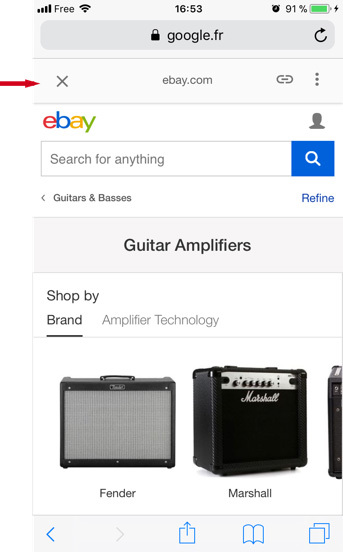 Building an e-commerce experience with AMP is possible: the user searching a product on Google opens the AMP product page, adds the product to cart and proceeds to payment via AMP. Your product/category page will appear in Google’s top results. Display performance and navigation between pages will be improved, which will in turn increase customer satisfaction and likely boost mobile purchases. What’s your take on AMP? Let’s discuss it!